In May this year we brought word of The Last Drop Distillers' 1967 Glen Garioch single malt and 48 year old blended Scotch whisky being released in Hong Kong. In November we mentioned that those same whiskies were being released in Australia, in extremely limited numbers exclusively through Dan Murphys. We've now been fortunate enough to try the 48 year old blended Scotch whisky, and have detailed our thoughts below. First though, a little more on the philosophy behind The Last Drop Distillers. 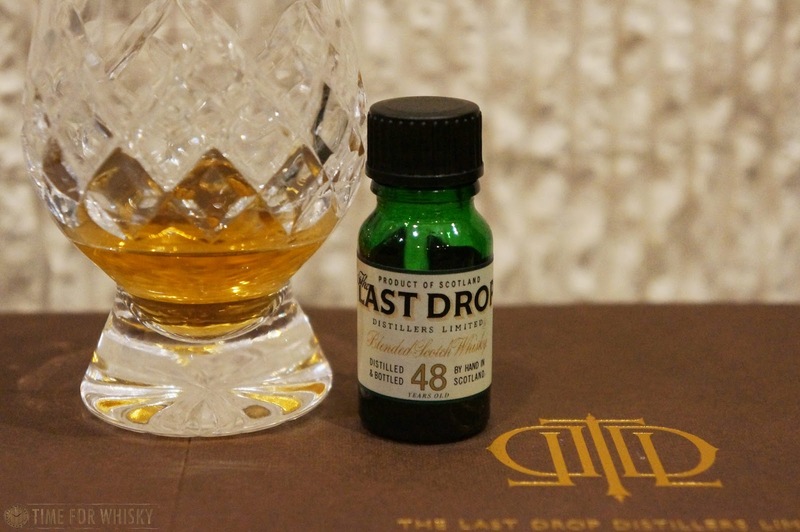 Founded by three veterans of the spirits industry, who amongst them were responsible for whiskies such as Johnnie Walker Blue Label and Chivas 18 year old (clearly no strangers to a decent blend then...), The Last Drop Distillers are an independent bottler who, since 2008, have focused exclusively on extremely rare, well-aged spirits. In fact, seven years on, they've only produced five releases - the two aforementioned whiskies, a 1960 blended Scotch whisky, a 1950 Cognac and a 50 year old blended whisky. Now, there are plenty of old casks out there, and plenty of them end up in the hands of independent bottlers (on this blog alone we've tried five 40 year olds, a 50 year old and a 60 year old - mostly indie bottlings). They're not always good, though. Sometimes, they're just a little too old, a little too past their prime. When an independent bottler only bottles five such whiskies in 7 years though, and no other releases, you know they're only bottling whisky of a certain (extremely high) level of quality, as is the case with The Last Drop Distillers. Nose: A big, rich creaminess hits you first. Then you notice just how polished, or rounded this whisky is. Not a single harsh note, nor a note out of place....but it's also not subtle or dull either. There's a slight earthiness (upon further nosing - some oak too, reminiscent of our recent trip through some of Scotland's distilleries), some Irish Cream, some passionfruit too. Then some almond fingers, chestnuts, a little furniture polish and a little cinnamon. I even got some notes of mum's Christmas compote - specifically apricots soaked in brandy. There's a LOT going on here, and it's all fantastic. I came back to the empty glass an hour later - still amazing. Palate: Wow, this is not your average blended whisky. Still some oak, but it's subtle and in perfect harmony with everything else, which includes some whole oranges, apricots, and some old Eau de Vie. Finish: Quite long, smooth, and continuing the fruit theme with apricots and glacé cherries. Bitter dark chocolate enters the mix, as do some (again, subtle) oak notes. Everything is in perfect balance. Rating (on my very non-scientific scale): 93/100. Simply a fantastic blend - one that has not only been crafted incredibly well, but has also aged just as well. We don't know the whiskies that make up the blend, but whatever they are, grain and malt, they (and the ex-Bourbon American oak casks they aged in) were all working in perfect harmony. Note: I didn't add water to this, primarily because the sample was only 10mL, but also because I didn't feel it needed any. Some higher ABV whiskies can feel a little closed up without a few drops of water. This doesn't, at all. 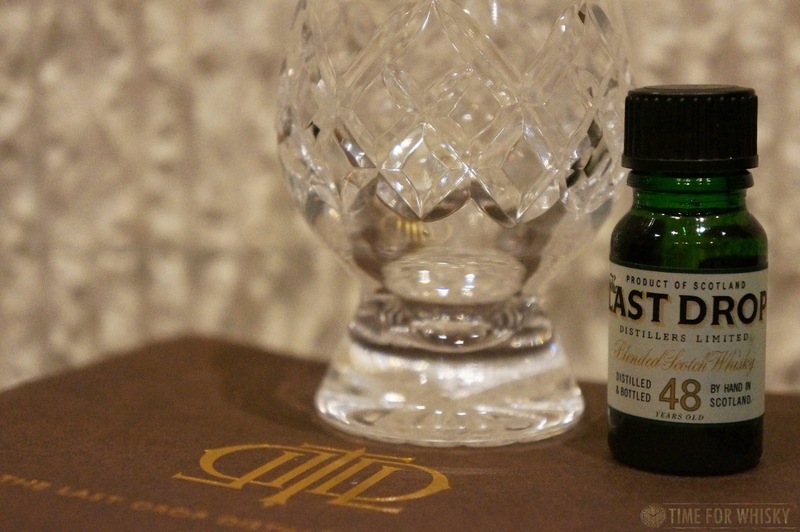 TimeforWhisky.com would like to say a huge thanks to a sample generously sent by The Last Drop Distillers Ltd and DEC PR. PS: To read an excellent write-up on the 1967 Glen Garioch Single Malt, see The Whisky Ledger's thoughts here.